In the Zimbabwean music industry where we are all aiming to put our artists on the international scene, competition is not the answer, the only way the artists can do better is to support each other. Usually, when one gets into an industry, their aim is to be the one on top, be the only recognised artists and phase out the current artists which is not the way to go. Music is about passion and not competition and what is really needed is support so as to help each other move forward. A number of artists have gone out of their way to help the upcoming artists make it in the industry. 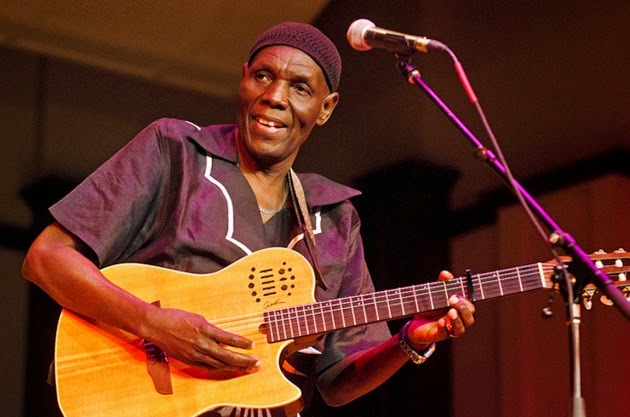 Oliver Mtukudzi is one of the artists who has dedicated the Pakare Paye Arts Centre to the upcoming artists so as to nurture young artistic talent. Young artists are nurtured to grow in music and associate with other artists, join forces to produce the best rather than compete against each other. PAD arts is one other organisation that is aimed at supporting upcoming artists. Alexio Kawara, Dereck Mpofu, and Pax Gomo started the organisation with the aim of helping the young musicians. They began with the young upcoming artists who had been rejected at the Star Brite auditions but they saw talent in them, which is what is needed more in Zimbabwe. Some artists who’ve been in the industry for a while now help the upcoming artists by collaborating with them on their singles. One good example is Leonard Mapfumo who has worked with a number of upcoming artists like Varaidzo, Rutendo, Shinso, Yoz and many others so as to help them on the music scene. Artists that have helped the upcoming artists should be applauded for what they have done for these artists because they have been their stepping-stone to their success in the music industry. It is very important for the upcoming artists to understand that the industry is not about competition but support. The support you get from the other artists that came before you is the same support you should give to those that will come after you for a successful music industry.